I am a sucker for traditional clothing from all cultures. 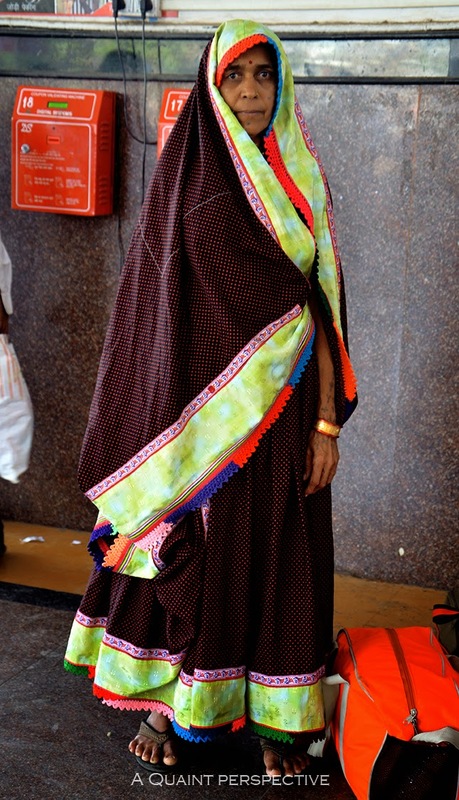 There is something about the traditional clothes one wears, speaking at once to the onlooker about their culture, community, region and much more without an exchange of a single word, its enlightening! In our quest to embrace modernity or to fit/blend in, most of us have let go of this very important individual visual identity and with it the deep history and rich cultural heritage. In a forever-rushed city like Mumbai, traditional attire comes out on occasions and festivals, and therefore a rare sight. I always wonder though if we could adapt our traditional clothes to reach a new balance between tradition and modernity. Clothes that let us be as modern as we'd like to be and yet be identifiable with our rich tradition, clothes that let us blend in and yet stand out! 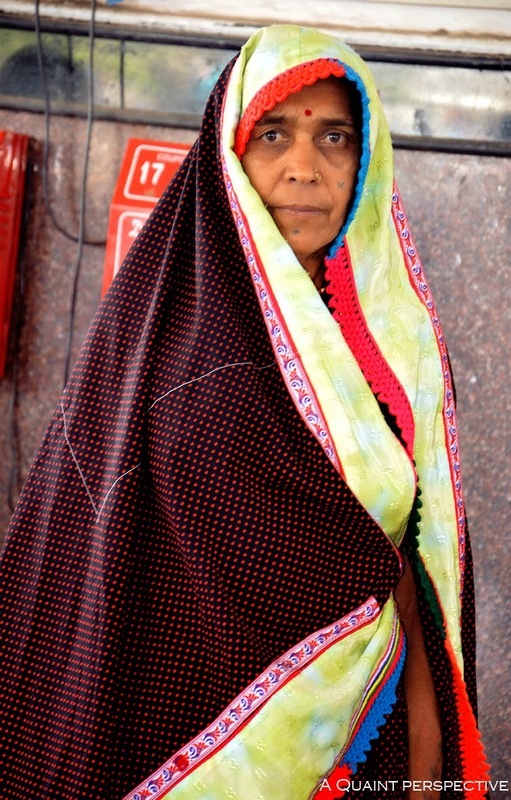 I was delighted to spot this lady at the station, I'm guessing from a region bordering Gujarat and Rajasthan. She had that balance. I love the colors of her outfit, the combination of polka dots with the fluorescent jacquard lace, who could say she doesn't follow trends! 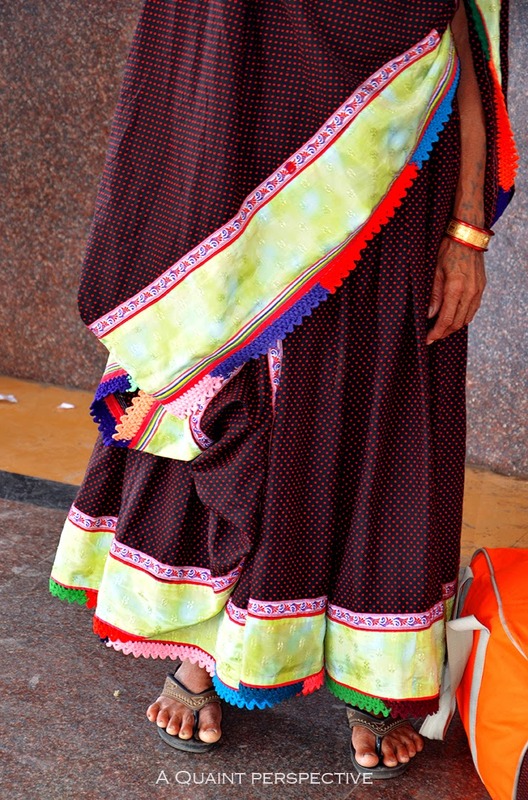 I know that the colorful crochet edging on her stole and through the hemlines on her skirt is all hand-made! I love her bold tattoos, nose-pin, bracelet, so comfortable in her skin.... She poses for me with the inner confidence of a seasoned model, so beautiful!